Lots of words, lots of numbers, lots of graphs and lots of pages. 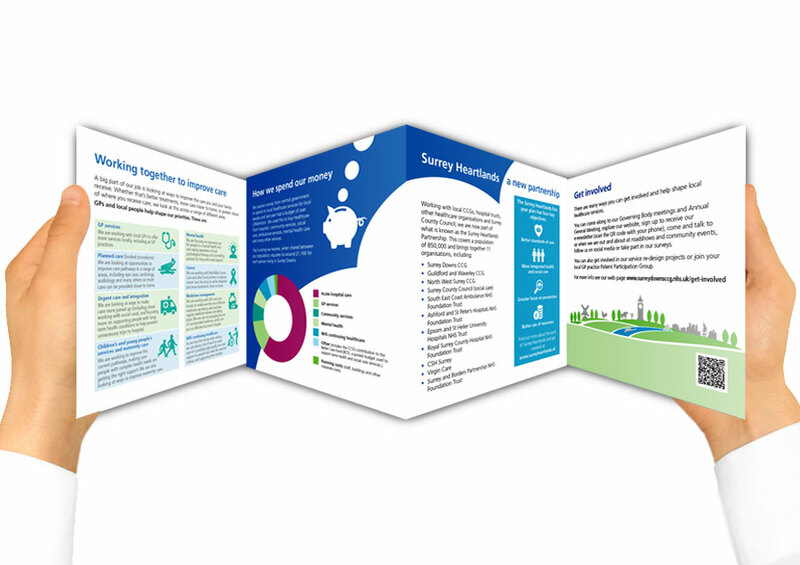 These elements often go without saying for many organisation annual reports. 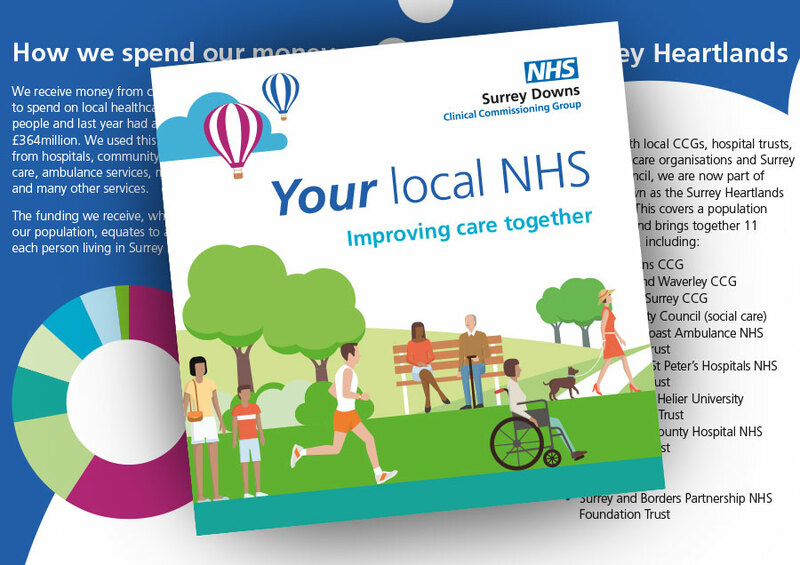 But not for NHS Surrey Downs Clinical Commissioning Group. 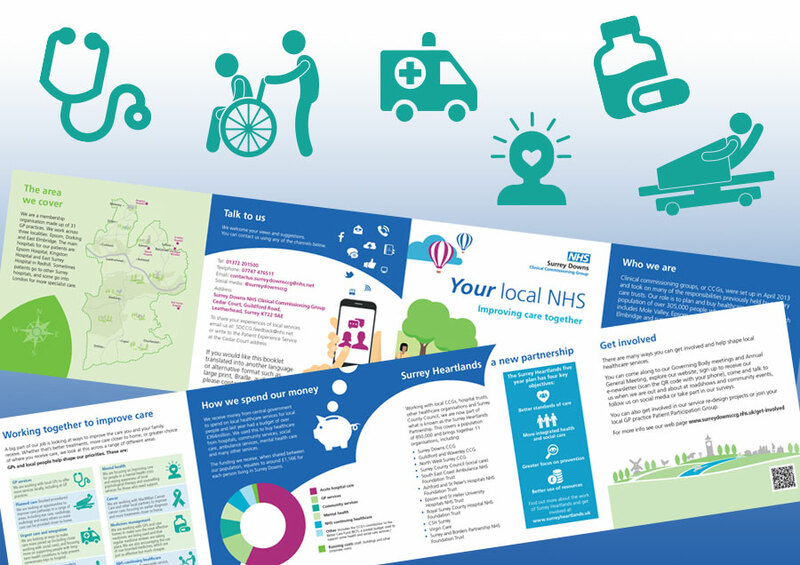 This easily accessible six page A5 leaflet uses a clean design style and simple language, interspersed with a few key infographics.